Since the fatal fire at Oakland’s Ghost Ship warehouse last December, DIY venues across the country face increased scrutiny from local officials. The latest target is Los Angeles’ Non Plus Ultra, where city building inspectors shut down a Thee Oh Sees show last Thursday night before the band took the stage. 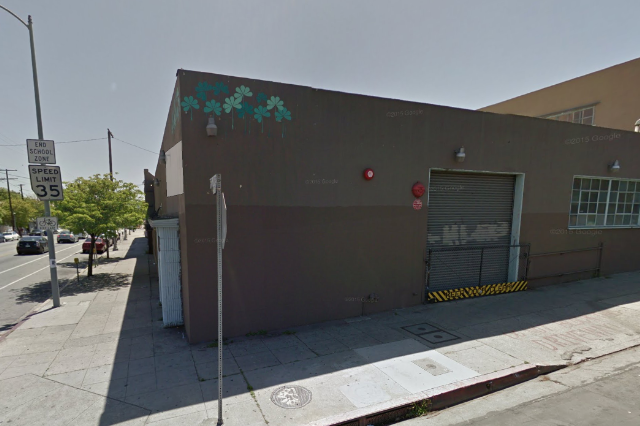 Non Plus Ultra is operated by a nonprofit organization in a rented warehouse space, and like many similar venues, it was never able to secure city permits for live music, as the LA Weekly reports. Today, Non Plus Ultra’s founders shared a statement with the paper: Live music is out, although other services, like recording, are still operational. Read Non Plus Ultra’s full statement below. On Thursday our Thee Oh Sees show was cut short after a city inspector notified us that continuing to operate will result in criminal charges. This extended to all future events. Unfortunately, this means Non Plus Ultra will no longer be hosting live music shows. Though this sudden ending is regrettable we look forward to the future of NPU. The scope of our operation has outgrown our current building and as such, we have already begun the search for new locations that can better accommodate the live music experience we strive to provide. Non Plus Ultra is, and always has been, a non-profit organization made up of working artists who built the space to facilitate creative endeavors. Providing a home for live music is an important part of our mission, but for now we will focus our energies toward the many other services we can offer. We’re professional musicians, filmmakers, fine artists, engineers, and fabricators. Our services, knowledge and tools are at your disposal. Non Plus Ultra is still available as a filming location and workspace. The stage and our separate multitrack recording room will remain set up for multitrack live session recording. DIY venues exist to provide safe, community-minded places to share art and experiences with each other. Our success has only been possible through all of the artists who ventured through and helped us grow—every single one of you inspiring, sweating, crying, bleeding, and constantly killing. And to all our donating, cheering, peace-keeping, speaker saving, mosh barrier, parking-patient, hold-your-pee partiers who we’ve had as guests here: we are eternally grateful for all the support. Without you it’s just an empty warehouse.